In-form sire Duke Of Marmalade, whose star son Big Orange was a late withdrawal from Saturday’s G1 Prix du Cadran, has a very talented filly on his hands in the form of Responsibleforlove. The latter, who had previously won stakes races in both Italy and the US, lined up in Saturday’s G1 Rodeo Drive Stakes at Santa Anita as a fancied contender. Responsibleforlove had precious little luck in running in Saturday’s 2000m feature, getting boxed in but still ran on strongly for third, under jockey Joe Talamo. Despite the rough trip, Responsibleforlove was beaten less than a length into third place (by 2016 Rodeo Drive winner Avenge), beaten a nose for second, and she looks capable of lifting a major turf feature before too long. Second in the G3 Santa Barbara Stakes earlier in the season, Responsibleforlove has won or placed in nine of her 11 outings. 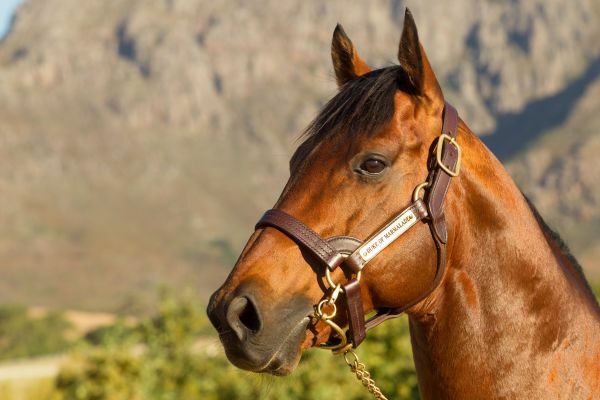 Her Cartier Champion sire Duke Of Marmalade, sire of 2017 standouts Big Orange and Marmelo, will be represented by his first South African crop of two-year-olds this season. The five time G1 winner, whose relatives include A P Indy and Lemon Drop Kid, had yearlings fetch up to R1.4 million in 2017.